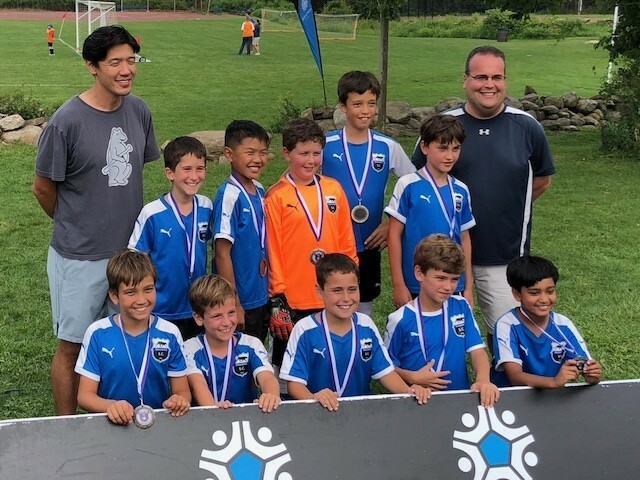 U11 Blast Wins John Jay Labor Day Tournament! Updated Sunday September 2, 2018 by Shannon Feldman. The U11 boys won the John Jay Labor Day Tournament in PKs. The tight game ended in a 5-4 victory for the Blast. Video of the game winning shot is below. Video of the winning goal! External links are provided for reference purposes. Edgemont Soccer Club is not responsible for the content of external Internet sites. Copyright Edgemont Soccer Club All rights Reserved.